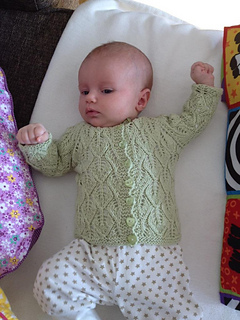 Leafy, lacy cardigan for babies and toddlers. Worked seamlessly top down with raglan sleeves and buttons in front. The baby size and the toddler size are written out as well as charted, on separate pdfs.